Another recent trip to what could be called my second home Dunfermline, and a visit to the fantastic live music venue that is PJ Molloys, led to an encounter with fast rising starlets Broken Boy. I have seen Broken Boy once before and, as always, I wanted to see them again before I decided whether to write a wee review. The first time I saw them I have to say I had my doubts, however following this second viewing my thoughts were rapidly changed to “what’s not to write about”, so lets start at the beginning. I arrived at PJ Molloys early and was warmly welcomed by band manager Iain More, who introduced me to the three band members, two brothers Cameron and Stewart Black. Cameron playing bass and bringing banging lead vocals and Stewart slamming out some fantastic lead guitar and last but by no means least I met precision drummer James Hardy. 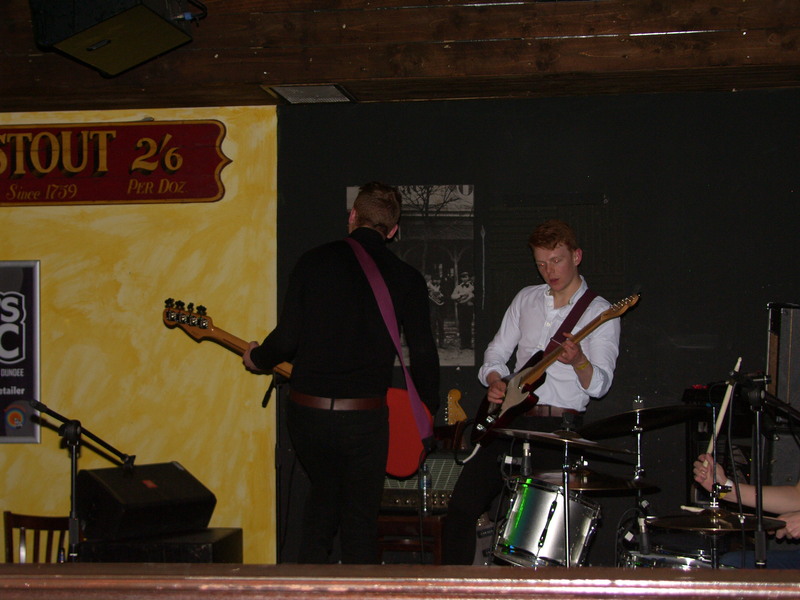 After the intro I was privileged enough to watch the boys’ sound check which showed great professionalism for a band that is a mere sixteen months old and the sound that they demonstrated during the check left me hungry for more, if that was just a sound check, then their headline slot that night was set to be something rather special. 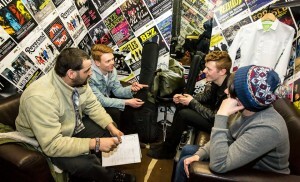 Before the gig began I had the chance to have a chat with the boys in PJs green room where again the lads made me welcome in their space and filled me in on how they all met telling me that the brothers have been writing music together for about two years now and decided it was time to get another musician involved. So, they put an advert on gumtree for a drummer, to which a bored student, who liked the bands that the boys had listed in the ad as their inspirations replied, the brothers liked his work and so the group was completed with the addition of drummer James. As for their name, well that’s another odd but quirky story. How do you come up with a band name? No easy task if you ask me. What happened was Stewart had a list of names he liked for the band and one day while bored on a bus journey he added the names to his “dream Line up of bands” one at a time to see which looked and sounded best and he thought “Broken Boy looked more realistic in that sort of line up.” So he took his idea to band practice and put it to the others who clearly liked it and so Broken Boy was born. Cameron and Stewart are the writers in the band generally although drummer James always gets his chance to change things for the better. 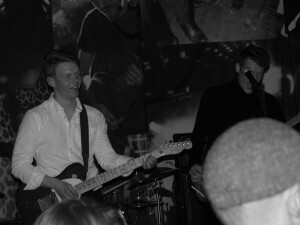 Drawing inspiration from artists like Arctic monkeys, strokes and Kings Of Leon and life in general while writing about their feelings, girls, and fictional dramatisations of real life events which really comes through in their performance, you can feel their attachment to the lyrics and sense they are a real part of the bands’ lives. Progressive is the word for these boys, they told me the track which best portrays their desired sound is their most recent release “She Said” although the one released previously to that Kilogram was quoted too, I personally suspect their best work will always be their next one. Broken Boy released their single “Kilogram” in December 2013 and another single “She Said” on 27th of January 2014, and when asked if there is an album on the horizon they told Voice of Scotland “We are taking it a bit at a time, as it comes, we have a plan to have an albums worth of material soon in case we are really extremely lucky and someone pays for us to go into a recording studio.” I think an album from these lads would be a belter and a sound investment for that “someone” so here’s hoping they get that material in a studio soon. 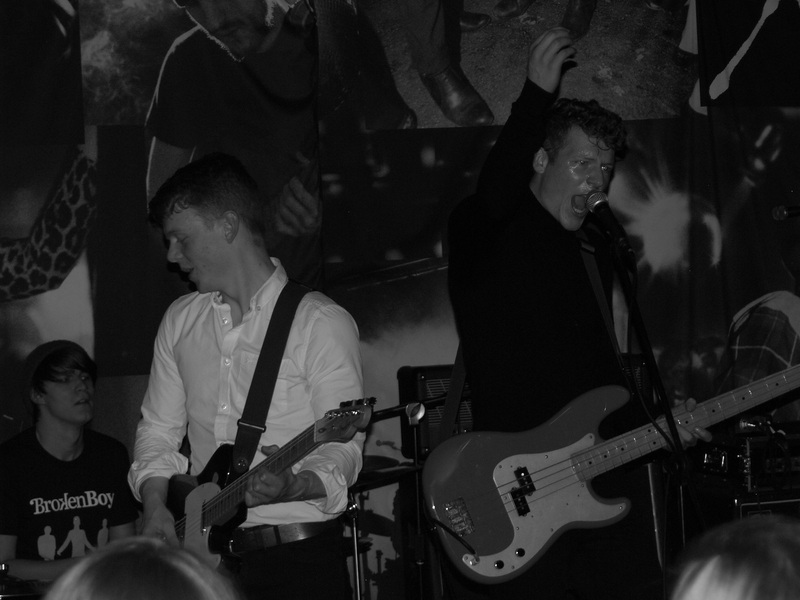 As for live stuff Broken Boy are constantly writing and playing gigs and love playing in PJ Molloys in Dunfermline and Non Zeros in Dundee. 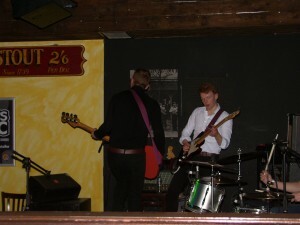 The lads even managed to play three gigs in two days recently which a great achievement. They hope to keep releasing new material and doing as many gigs as they can in 2014. Progressing their music and fan base is their main goal and from what I have seen so far, their focus and determination is sure to lead them to achieving that goal. After our chat and a couple of great support slots from Megan D and Our Future Glory, Broken Boy took the PJ Molloys stage and showed us how it’s done, this band rock from the first note to the last beat of a drum. 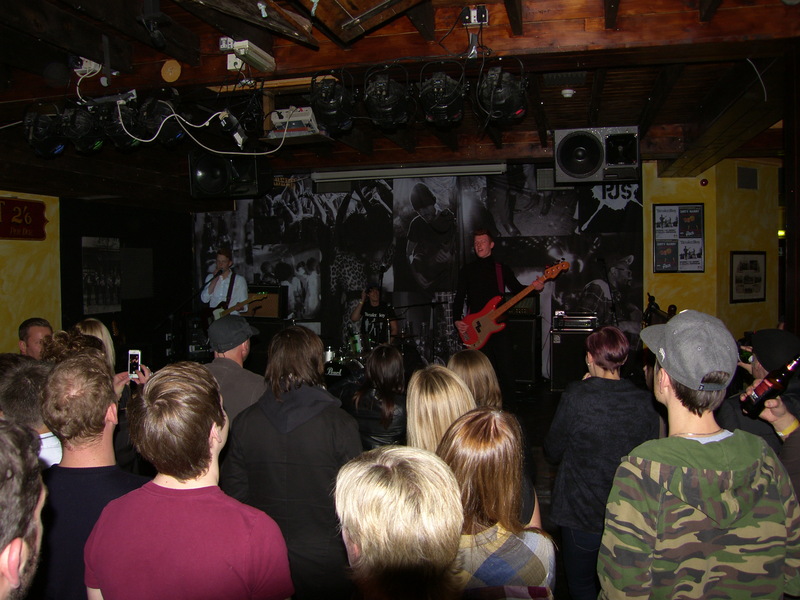 Their stage presence is remarkable and audience interaction has came on in leaps and bounds from when I last saw them live on the very same stage, the last time I had to ask someone who they were because they never told us, a personal dislike of mine. This time however was much different we were immediately made very aware that something very special from Fife going by the name of Broken Boy was exciting our ears. 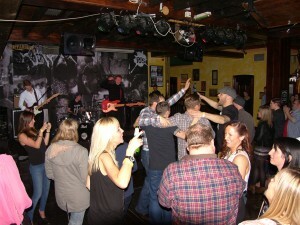 By the end of their first track the floor in front of the stage was packed with cheering dancing music lovers who were clearly lapping up the great tunes. By the end of their third track “Sweetheart” it was apparent to me that these lads are true to their word and will progress like wildfire, what a difference in them in the 2 months since I last saw them, it blew me away, they owned the PJs stage, constantly interacting with the crowd gathered to see them and responding well to the whistles and cheers of encouragement. The Camaraderie of the band was clear during the performance too, the joy at the reaction of their audience driving their showmanship and stage presence to a new level with each track they played. 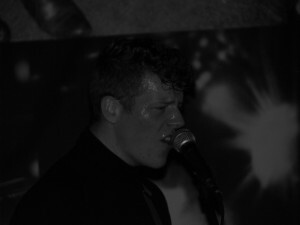 Front man and bassist Cameron never faltered with his energetic moves and flawless vocal, the sweat on his brow a constant reminder of the hard work he was doing up there to please his fans. By the time they reached their penultimate track “Kilogram” the fans were worked into a frenzy chanting along with the song and bouncing around the floor in front of the stage while the lead guitar belted out the unmistakably unique Broken Boy riffs the sound completed by the bands perfectly placed gumtree drummer whose input was remarkable his every beat perfectly timed. The boys completed their set with “She Said” which I will tell you more about in a moment, the gathered revellers loved it, they loved the whole set from the first beat to the last. The band left the stage rock and roll style, dropping their still echoing guitars causing a buzz through the pa an echo of the blazing set they had just ended, to chants of “we want more, we want more, we want more.” from the crowd. What a set, like I said before it blew me away this band will progress like wildfire so keep an eye out for them at a gig near you, not to be missed is an understatement. Now the new single, released on the 27th of January 2014 entitled “She Said” really does encapsulate all that Broken Boy is, from the haunting opening bass line and vocal this track holds your attention. The haunting however is nothing other than an intro as just a few bars in the drums jump out at the listener brining on another of those unmistakable Broken Boy guitar riffs. The song is upbeat and positive even though it is, from what I can tell, all about the forbidden fruit of a love that was not to be. 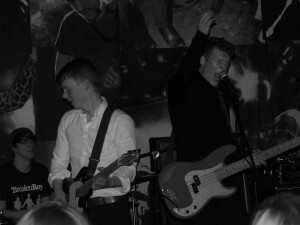 The band sure know what they are about and that is plainly obvious to me having had a chat with them. All they told me comes through clearly, not just in this excellent new single, but in all their musical achievements. 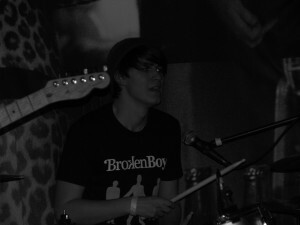 If you like great music then buy some Broken Boy, You won’t be disappointed! you can buy Broken Boys’ Music online from itunes, amazon, spotify and other good online music retailers.